In The Last of the Doughboys, Richard Rubin introduced readers to a forgotten generation of Americans: the men and women who fought and won the First World War. Interviewing the war’s last survivors face-to-face, he knew well the importance of being present if you want to get the real story. But he soon came to realize that to get the whole story, he had to go Over There, too. So he did, and discovered that while most Americans regard that war as dead and gone, to the French, who still live among its ruins and memories, it remains very much alive. Years later, with the centennial of the war only magnifying this paradox, Rubin decided to go back Over There to see if he could, at last, resolve it. For months he followed the trail of the American Expeditionary Forces on the Western Front, finding trenches, tunnels, bunkers, century-old graffiti and ubiquitous artifacts. But he also found an abiding fondness for America and Americans, and a colorful corps of local after-hours historians and archeologists who tirelessly explore these sites and preserve the memories they embody while patiently waiting for Americans to return and reclaim their own history and heritage. None of whom seemed to mind that his French needed work. 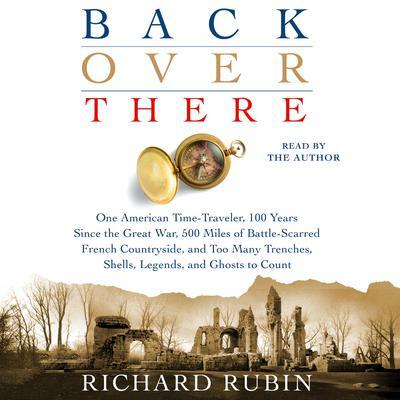 Based on his wildly popular New York Times series, Back Over There is a timely journey, in turns reverent and iconoclastic but always fascinating, through a place where the past and present are never really separated.